This is an affiliate link for abcmouse.com. 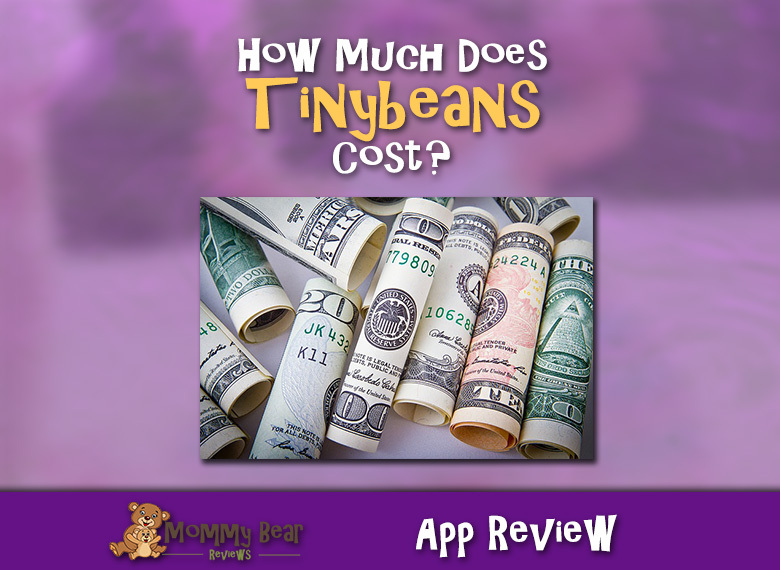 Try it for free, get your little cubs learning, and help support my site! I have loved doing this blog on the side of being a full-time mom. I went from doing just toy reviews to writing some personal things, talking about important subjects, and really putting out there what was on my mind that I thought would be good for other moms or parents in general to hear. 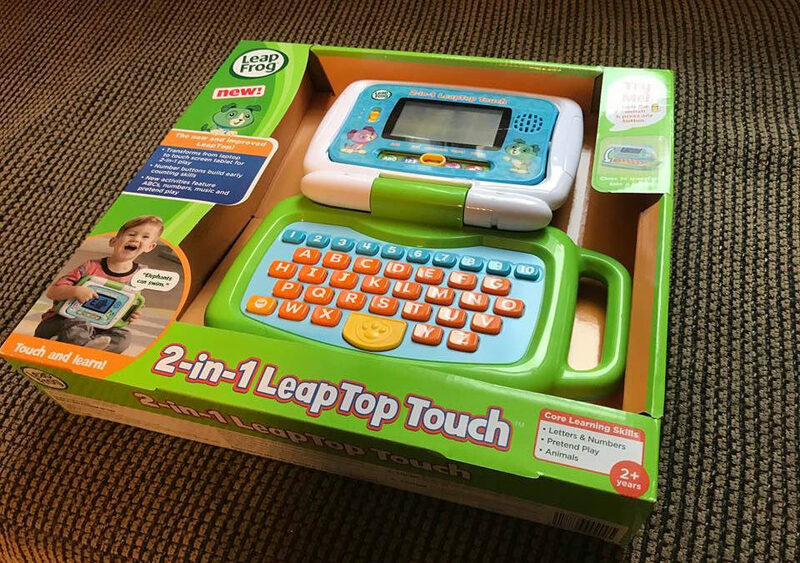 Today I am getting back to my roots because I am writing a toy review on the Leap Frog 2-in-1 LeapTop Touch. This image is an affiliate link. This is a fancy and updated version of the toy laptops that have been around for a long time. I remember having one as a child, and I loved it. I definitely played it for a long time even after having learned what it had to teach me. What can I say? The games and learning was fun! The new version flips out into a touch tablet when you close the lid. This is really neat because it doesn’t require any extra effort for the child. We originally bought this not only because I remembered loving mine, but because we have trips that we take once a month or so that are an hour or more out of town so we can see family. My daughter is a little shy of 4 months from turning 2 years old, and she would get bored and really fussy on these long car rides. We got her this LeapTop and she really enjoys playing with it. It’s great that she hasn’t nearly gotten out of it all that it has to offer, so she will stay entertained with it for a long time to come. I will have to update on her progress with it later. She mostly plays with the laptop and really has yet to fully understand the tablet, but she seems to really love and learn a lot from it, and it definitely keeps her entertained on long trips. There are different modes for the LeapTop including ABC, 123, Messages, Games, and Music sections. Because she does not fully grasp all the features the LeapTop has to offer yet, there is a clear reason why it is marked for 2 years and up, but I already feel like she is thriving on it. When the LeapTop tells her a letter and the sound it makes, she usually repeats it. She has already learned new words from it, such as alligator. Although she has learned a lot about different animals in the past, that was one we had not come across yet, so it’s exciting that she gets to learn new animals as well as letters and the sounds they make. 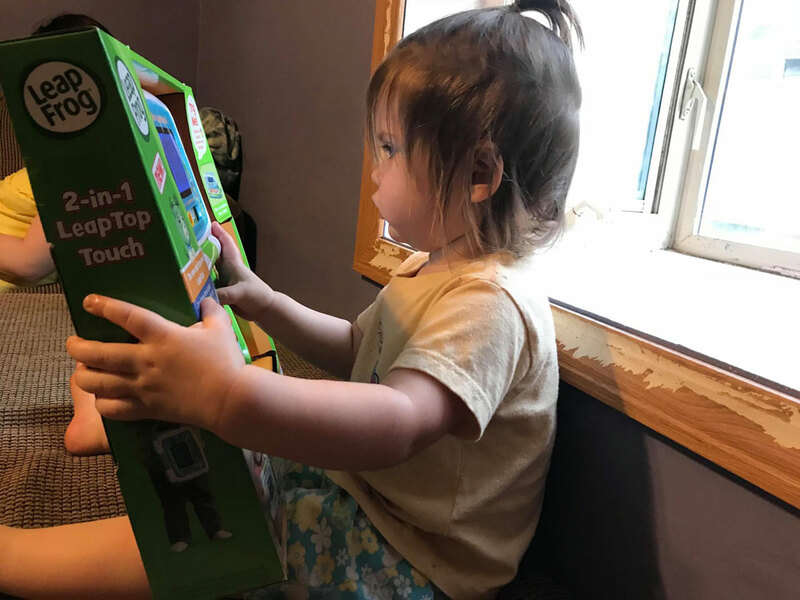 I am so excited to continue working with her as she learns more and to get to the different sections of this LeapTop and watch her growth. It is already so incredible and rewarding to watch, and it is just the beginning. I will definitely update this in the future as she learns more. Because we have not gotten to fully learn all about this toy yet, I give it 4/5 stars, but definitely see the potential in it for all 5. Even though Little Cub and I have a lot left to discover with this toy, I could not wait to tell everyone about this fantastic learning toy! Watching little ones grow is one of the best things, if not the best feeling in the world, and I absolutely had to share this with you! As always thank you for being a reader and I recommend this for any little ones around my Little Cub’s age or older! Here’s til next time! What are your favorite learning toys for your little cub? Sound off in the comments below! I would love to check them out! These are affiliate links to amazon.com.